I graduated from Durham University with a BSc in Biological Sciences before moving to London to begin the MRC DTP at King’s. 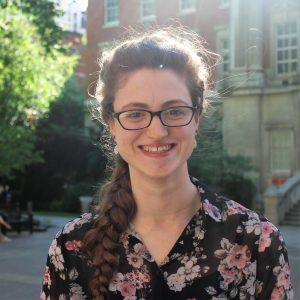 My undergraduate degree included a placement year spent at Cambridge Research Biochemicals, who specialise in the production of custom antibodies and peptides, which gave me a valuable insight into industry. In addition to my final year research project, I carried out a summer research project at Aston University (Birmingham), all of which helped inspire me to pursue a PhD. The translational focus of the MRC DTP at King’s really appealed to me, with the opportunity to work closely with those affected by the biomedical research we carry out. I was also attracted by the additional training opportunities that form part of the programme, particularly the workshop courses. As I don’t currently hold a Masters degree, the option of following the 1+3 programme was a massive advantage. Having the chance to try out projects across different disciplines has definitely broadened by scientific perspectives, and I hope that the skills I have learned will help me to get the most out of the next three years of the PhD.